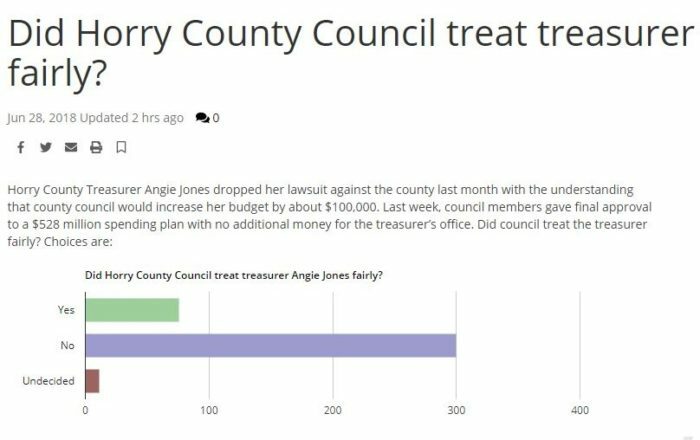 75% of respondents to a recent poll taken by MyHorryNews.com believe that Horry County Treasurer Angie Jones has not been treated fairly by Horry County Council. The poll was made available to Horry County residents and, while not a scientific poll, is a clear indication of where local voters stand on the budget issue between the treasurer and elected Horry County Councilmen. The matter is literally a question of which comes first, the old chicken versus egg issue. 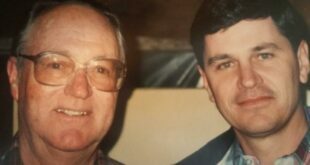 Jones sued the county showing that there were tens of millions of dollars in uncollected taxes in Horry County. Mrs. Jones’ department, as Treasurer, is responsible for collecting those taxes. 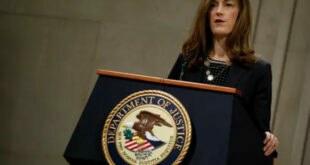 Jones stated that she could not collect those unpaid taxes without the necessary staff. After a standoff, the treasurer chose to sue. County Council then worked out a compromise agreeing to fund her department an additional $100,000.00 if Jones agreed to drop her lawsuit. 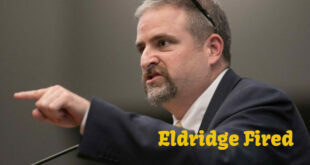 Jones complied only to find the $100,000.00 promised for her department missing from the Horry County budget this year. We spoke with a key member of Horry County Council earlier this month, who stated that Jones’ request was fair, but that the money simply was not there. Respondents to the local news paper’s online poll made it clear they stand with Jones on this issue by four to one. CBD OILS ADVERTISED AT SUPERBOWL, WILL CITY LEADERS BOYCOTT GAME?